. استمتع بالخدمات الراقية والضيافة التي لا مثيل لها بهذا الفندق في شيبارتون. يمكن للنزلاء الاستمتاع بالميزات التالية: تخزين الأمتعة, صف السيارات, غرفة عائلية, مرافق للشواء, خدمة غسيل الملابس أثناء إقامتهم في هذا المكان الرائع. تتضمن كل غرف النزلاء وسائل الراحة والتسلية المصممة خصيصاً لضمان الراحة القصوى للضيوف. يقدم الفندق مجموعة واسعة من وسائل الراحة المتنوعة، كمثل: حمام سباحة خارجي, حديقة. إن Shepparton Belltower هو خيار ذكي بالنسبة للمسافرين إلى شيبارتون، بما يوفره من إقامة هادئة ومرحة. Everything was great. Thanks. 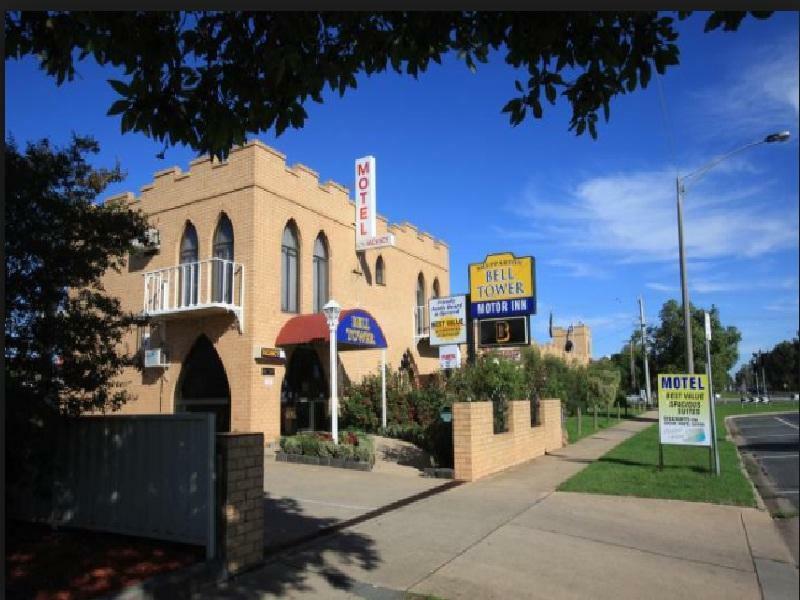 If I was In Shepparton again I would stay at the Belltower. Good value. Looks quirky from the outside but was old and dated. Our room was at the front of the building right next to the traffic lights and it felt like being on the grid of formula one, every time the lights changed, very noisy and not ideal for a good nights sleep. Quiet, clean and spacious room. 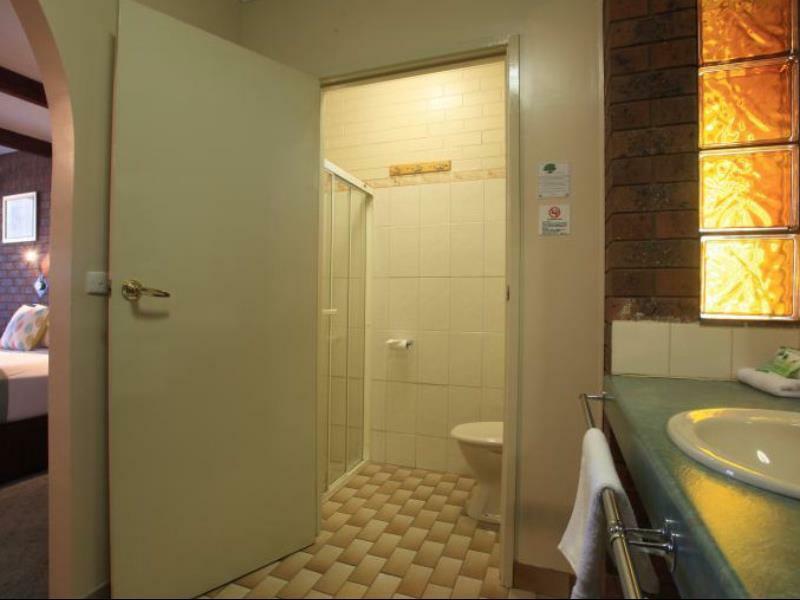 My nominated stay when travelling to and from Shepparton. A great experience, ticked all the boxes. windscreen washer and bucket of water provided at every car park bay. This hotel has a castle theme. There are several flag poles mounted on the roof with flags flying, so on a windy day/night all you can hear is flapping flags and the wire (thats used to hoist the flag) hit the flag pole. Between that and the owners grandchild (child) racing around outside your door, little sleep was had. I won't be back. the pool certainly looked inviting. the room was well fitted out with an eating bench on one wall and a round table in front of a couch. 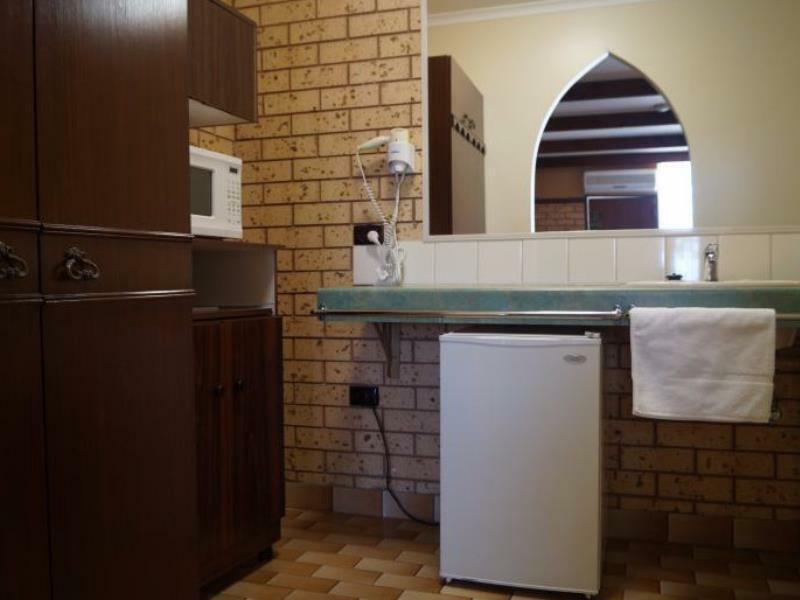 there was a dressing table with a mirror, and in the mini-kitchenette, another mirror to avoid jamming up the bathroom.a microwave, kettle, plates, glasses, fridge, etc, completed the convenient setup for a family on the road or staying a few days in the area. the room we stayed in was quiet and away from the melbourne highway. the motel is walking distance to the lake with its boardwalks into the bush, and the aquatic centre. we had to retrieve our car from the city the next morning which put us half an hour over the 10am check out but this wasn't a problem for the helpful owners. we can't comment on the dining as we didn't have any food at the motel. Pity non of Shepparton's Best Westerns are in Agoda.